Artwork created by local people as part of a Birmingham-wide festival will be on display in a month-long exhibition. Precious features a series of surreal and fantastical creatures made from upcycled materials created by people taking part in the A Matter of Life and Death Festival during May. The creations are being displayed as a collection of curiosities at Ort Gallery in Balsall Heath between June 1-30. 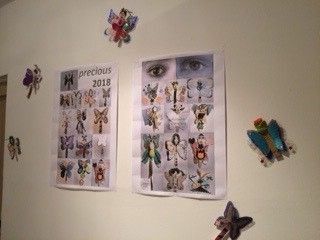 Precious featured artists Jane Thakoordin and Margaret Murray holding drop-in workshops at venues across the city including John Lewis Community Hub, Library of Birmingham and Birmingham Museum and Art Gallery as part of a Matter of Life and Death organised by community collective BrumYODO. 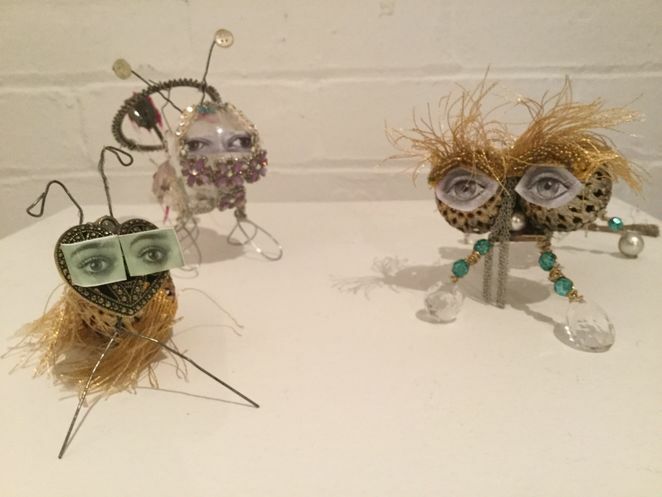 Jane says: "The Precious creatures are invading - the surreal extinct creatures have taken up residence in Ort Gallery. Over 20 little, handmade, fantastical insects have been lovingly created by workshop participants as part of BrumYODO 2018. Adding some colour and sparkle are the effervescent butterflies made by young people at drop-in sessions." Precoius is inspired by Charlotte Jarvis's Et in Arcadia Ego exhibition in which the artist grew her own tumour to investigate society's attitudes towards cancer. Launched at Ort Gallery in May and exhibiting until June 21, Et in Arcadia Ego features a series of sets in which Charlotte waits to confront her tumour. Ort Gallery director Josephine Reichert said the response to Jarvis's work has been really positive with many visitors commenting on how it had caused them to re-think the language used around cancer.